Sheila A. Anderson is a master at bringing forward the inner and outer expression and connecting it with the experience of an individual to form a remarkable personal brand that lives and breathes like none other. If you are seeking visibility, I.C.U. will guide you to building an intentional, consistent brand with impact. You will become a constant example of your brand word, goals, values, and strengths. I.C.U. helps you cultivate and own what lives in the minds of others after they have interacted with you. You become an experience connecting with a purpose -- intentionally and consistently. You will have them at hello. "You only get one shot to make a 1st impression. By reading Sheila Anderson's book, you'll have them at hello." "No one who ever made a significant difference did so by following the rules! Sheila Anderson gives you permission to break the rules that stifle the expression of you as a brand." On Amazon: I.C.U. : The Comprehensive Guide to Breathing Life Back Into Your Personal Brand – Kindle edition by Sheila Anderson. Download it once and read it on your Kindle device, PC, phones or tablets. Use features like bookmarks, note taking and highlighting while reading I.C.U. : The Comprehensive Guide to Breathing Life Back Into Your Personal Brand. Sheila A. Anderson is on a mission to make people visible in the space they want to own. Sheila is an image and impression management expert driven to empower corporate professionals across the globe in growing their strategic visibility. 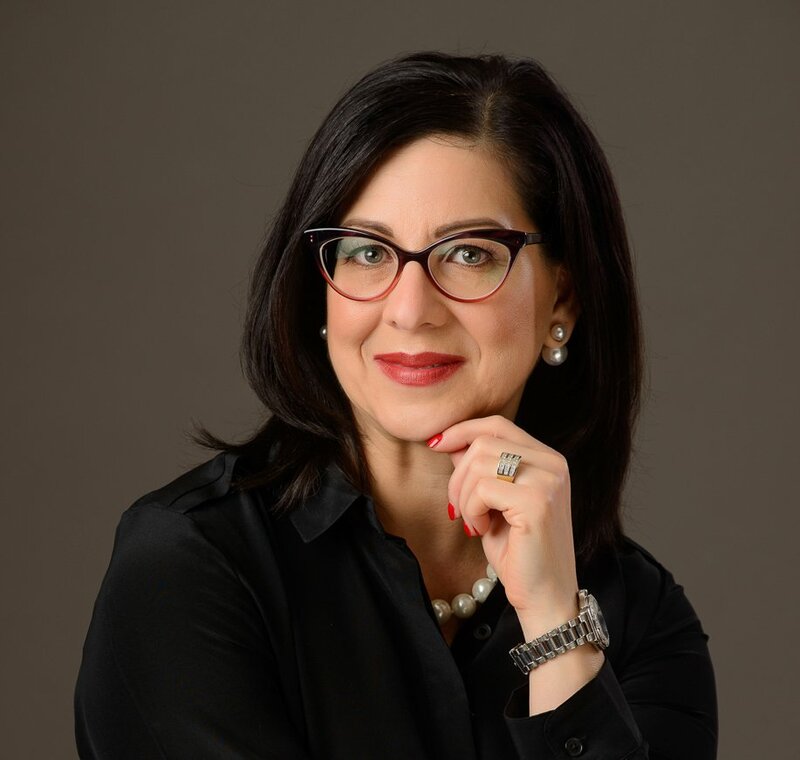 Her exceptional talent benefits executives and notables at any level in polishing all facets of their brand – appearance, attire, behavior, body language, and more – to power brand-aligned personal presence and communication style. 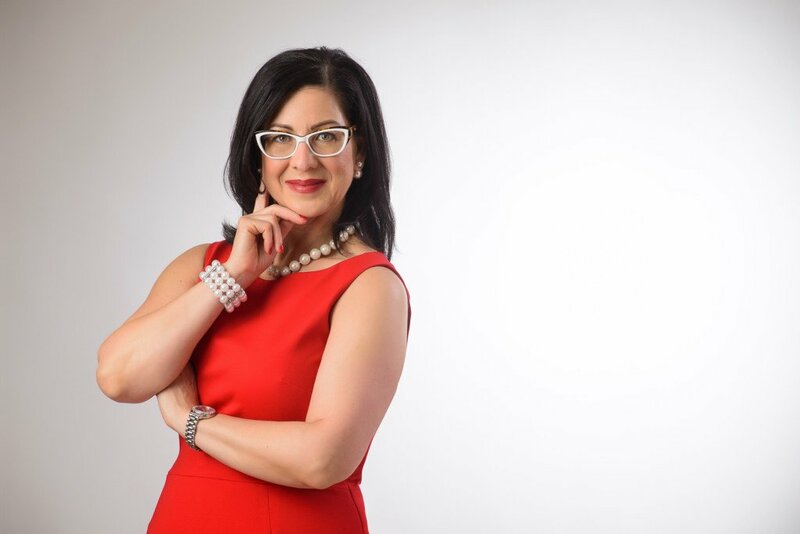 Personally drawn to the influence of impression management, Sheila has successfully cultivated her unique style as a business owner, personal brand strategist, image consultant and sought-after speaker. From professional modeling that includes runway, print, and TV commercial work to a career in brand management, Sheila draws from over two decades of experience when speaking and producing in the world of impression management. Experience the power of ROI – Return on Image®! Faced with weight battles from a very early age and ranging in size from 10 to a 22, she became inspired to start her life’s journey as an image consultant. She understands the struggle of dressing a body at every size and weight and empathizes with the pain and low self-esteem others face. Sheila is on a quest to inspire others to be their personal best and be at peace with who they are. Sheila believes it is time we take size and weight out of the beautiful equation and not let society’s rules stifle an individual in any way. 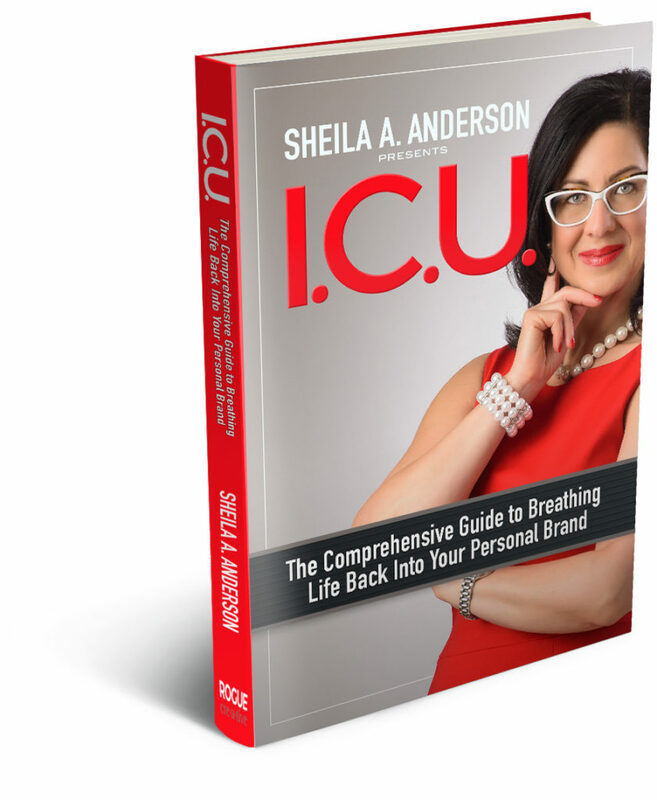 Sheila is the author of the book: I.C.U., The Comprehensive Guide to Breathing Life Back Into Your Personal Brand. Sheila designed The I.C.U. Rule™, a process to work with leaders to lean into personal style and authentic brand. Through an analysis phase, leaders focus in on being intentional before encounters occur. After gaining clarity in the analysis phase, the focus moves into executing personal style and image through disciplined consistency. Once leaders look inward and defined who they are and consistently implement authentic style elements into the spaces of their lives, the last phase of I.C.U. is you. The U step is two-fold. First, it represents authenticity. Second, it is about solidifying the brand experience by prioritizing others (you) and relationships, audiences, and communities. These steps result in career advancement, increasing one’s center of influence, and recognition as a leader. 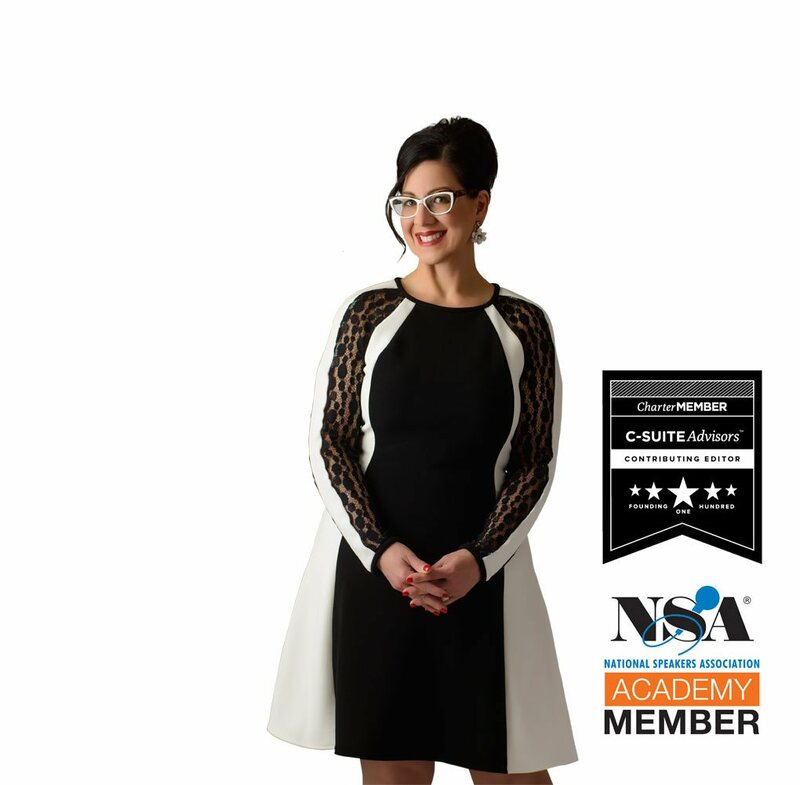 Sheila is a charter member of C-Suite Network Advisors, an elite group of select thought leaders, coaches, trainers, speakers, and content creators who service C-Suite executives and enterprise businesses. She is also a contributing editor for them. Sheila is a member of the National Speakers Association. She is a contributing editor for SmartFem magazine and is a featured book author with them as well as their red carpet correspondent for the SmartFem Network Summit. 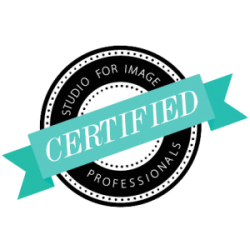 Sheila is one of a select few image consultants who has earned the prestigious designation as a Certified Universal Style® System Consultant through Alyce Parsons’ Universal Style® International. This system is the “gold standard” of style systems in the International Image Industry. She has also received training and certifications through Image Resource Network and the Studio for Image Professionals. She owns the registered trademark Return on Image®. Sheila has been a guest on several radio shows, podcasts, and TV segments. MY LIFE. I was born and raised in South Dakota. I appreciate my Midwestern values and work ethic that I grew up with and believe that plays a role in how I treat people and my dedication to getting things done. I am calm and have a ton of patience. I want resolution and understanding. I don’t believe in an “us vs. them” attitude but more of how we can collaboratively work together. I will get in the trenches with people to do the work that needs to be done. I love art, Mexican food, dogs, being on the water, yoga, and my guilty pleasure: cars … fast cars! INFLUENCE MATTERS. Define yourself before others define you! 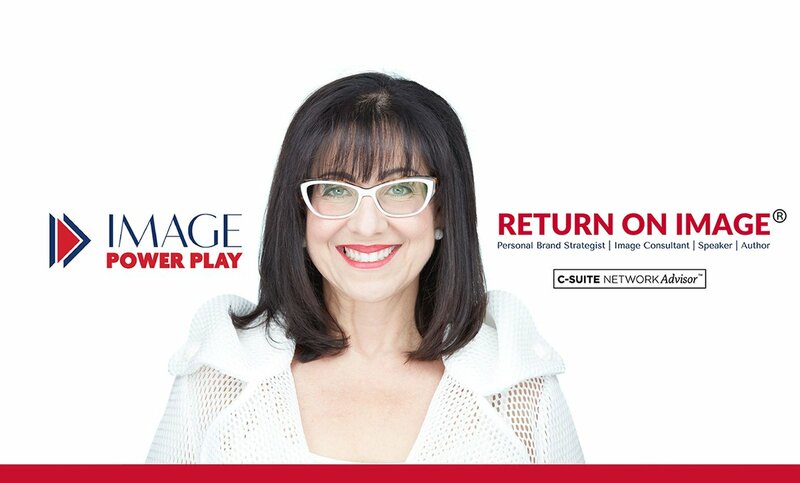 Image Power Play believes everyone is the Chief Experience Officer of his or her personal brand. Connecting with a purpose is always top of mind throughout the entire strategic process. Image Power Play is an impression management and personal brand company dedicated to bringing forth intentional, consistent, and authentic interactions with others. The company is focused on creating influence through image. Sheila Anderson, CEO and Founder, works with emerging and established leaders, as well as companies, that put value on proper positioning and being strategically visible in the space they want to own. Gaining a Return on Image® puts measurable value on the impact one’s image has personally and professionally. Image Power Play’s return on image® services create real value and elevate leaders to meet their goals and grow their influence. This is done by taking a strategic look at every aspect of a person’s image – spanning from appearance and behavior to how one communicate both verbally and nonverbally to a social media strategy and community interactions. Image Power Play designed The I.C.U. Rule™, a process to work with leaders to lean into personal style and authentic brand. Through an analysis phase, leaders focus in on being intentional before encounters occur. After gaining clarity in the analysis phase, the focus moves into executing personal style and image through disciplined consistency. Once leaders look inward and defined who they are and consistently execute authentic style elements into the spaces of their lives, the last phase of I.C.U. is you. The U step is really about solidifying the brand experience by prioritizing others (you) and relationships, audiences, and communities. These steps result in career advancement, increasing one’s center of influence, and being recognized as a leader. Image Power Play offers personal branding strategies through one-on-one coaching, corporate coaching, workshops, and keynote speeches. INCLUDES: Discovery call to set goals, Defining Your Word Assessment, 1:1 in-person or online consult to create signature look, behavior and communication coaching, personal shopping, and 3 months of mentoring via a 30-minute phone or virtual call once a month. Copy of Sheila’s book: I.C.U. INCLUDES: Discovery call to set goals, Image Assessment Questionnaire, Defining Your Word Assessment, color consult, 1:1 in-person or online consult to create signature look, behavior and communication coaching, online presence, personal shopping, community visibility, 3 months of mentoring via a 60-minute phone or virtual call once a month. Copy of Sheila’s book: I.C.U. Contact Sheila directly to learn more about speaking opportunities. Associations and non-profits may qualify for a special speaking rate. Are you ready to start regular communication with me? Simply sign up! By clicking the link, you’ll get FREE advice to help you gain confidence, increase your visibility and positioning, and permission to simply be yourself. I also share books and podcasts I love and products that have captured my attention. Get started!